MANTIS HOP GHANA aims at combining excellence with performance in our work so as to portray us as one of the leading and most reliable consulting firm within the country and beyond. To this end, we ensure our team of consultants keeps up to date with standards in whatever job they are engaged in at all times. This is to enable us achieve the one and enviable objective of attracting Corporate, Governmental & Individual entities for more jobs in the field of Business Assurance and IT Consulting. Collaboration is central to the way we do business. Our experts join forces with your people to form a cohesive team. More than just a promise, our capacity to collaborate has become a key client expectation. It shows in our every interaction and is our way of forging closer, more effective relationships. People matter, results count. With you, we create and deliver business and technology solutions that fit your needs and drive the results you want. Mantishop enables you to transform your organization and improve performance. We aim to empower you to respond more quickly and intuitively to changing market dynamics. By bolstering your ability to harness the right technology, we help you become more agile and competitive. Mantishop understands that business value cannot be achieved through technology alone. It starts with people: experts working together to get to the heart of your individual business objectives and develop the most adapted solutions to fit these requirements. We believe this human-centered approach to technology is what makes the difference for your business. We are a dedicated team with considerable experience of business and technical operations. From requirement gathering to IT infastructure strategy, we provide a full range of consultancy services and support to help take the hassles out of your IT projects. 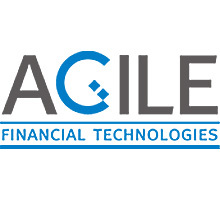 We bring the energy and agility of a young enterprise, and the wisdom and rich experience that is given by a cumulative 45 operating years of the constituent enterprises that are now Agile Financial Technologies. 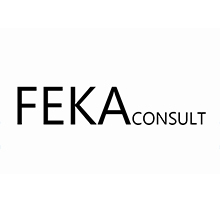 At Feka Consult, our vast experience allows us to recognize the complex needs of our individual and business tax clients no matter where they are located.We provide a large array of services. Our success is vested in our clients. Thank you for doing business with us, we still believe that people matter and result counts. We exceed our clients expectations and achieve operational excellence in every segment of our company by acting with creativity, relativity, integrity and delivering exceptional client service in the areas of Business Assurance, Process and IT Consulting. Address: 1st Lake Pool Street, Santa Maria, Accra. Copyright 2015 Mantishopgh - All rights reserved. Designed by Artmeritinc.